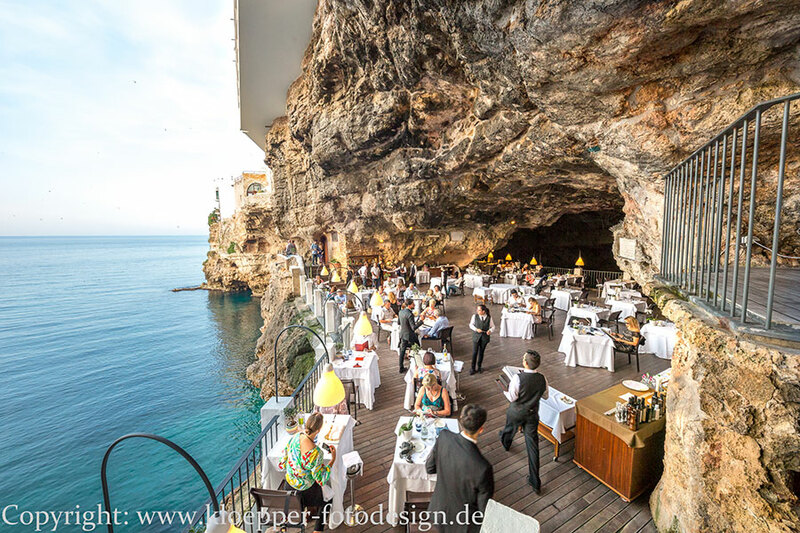 The Grotta Palazzese restaurant is internationally renowned, as evidenced by the many reviews on the most important magazines and blogs around the world. 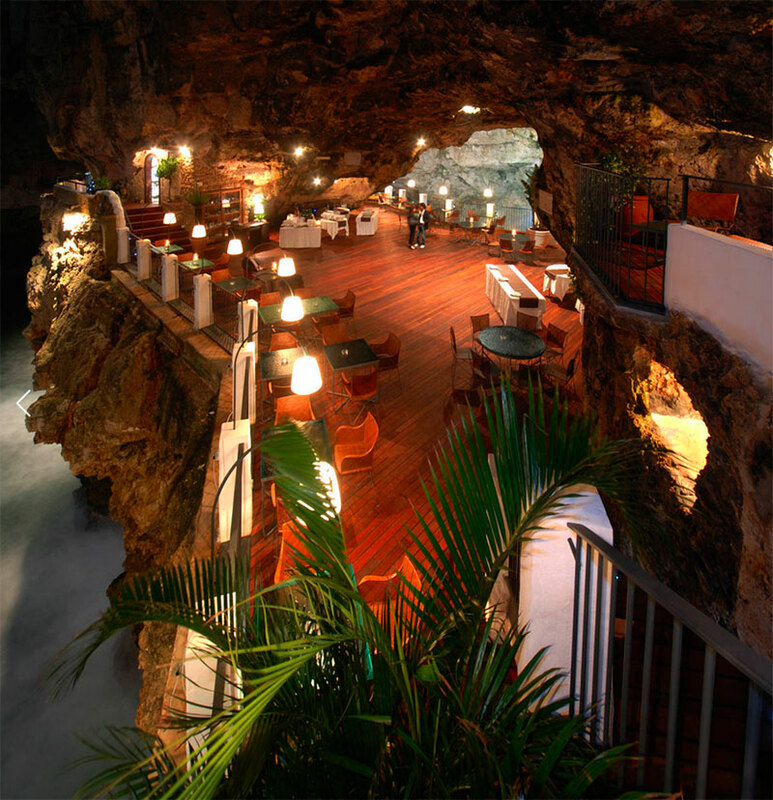 It has an outdoor lounge, set in a unique place in the world. 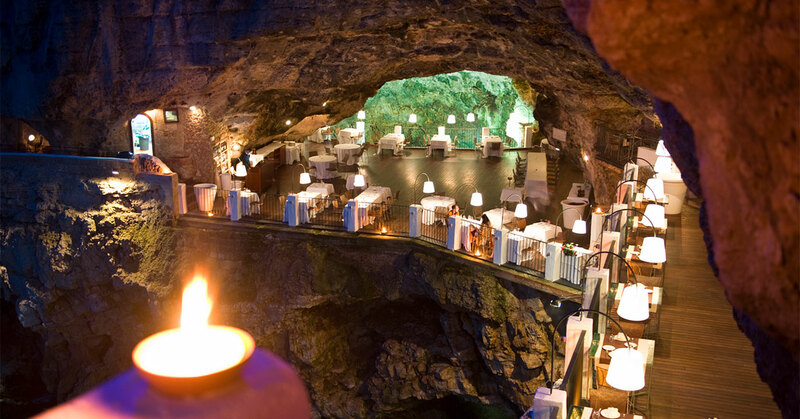 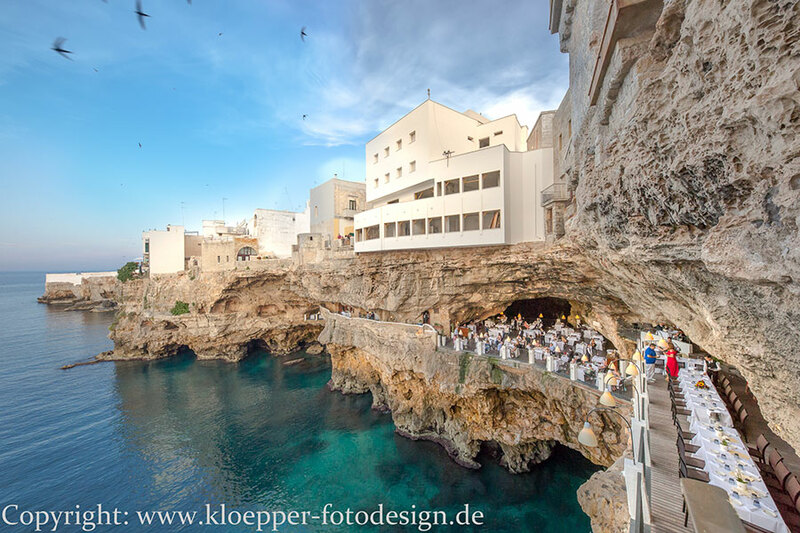 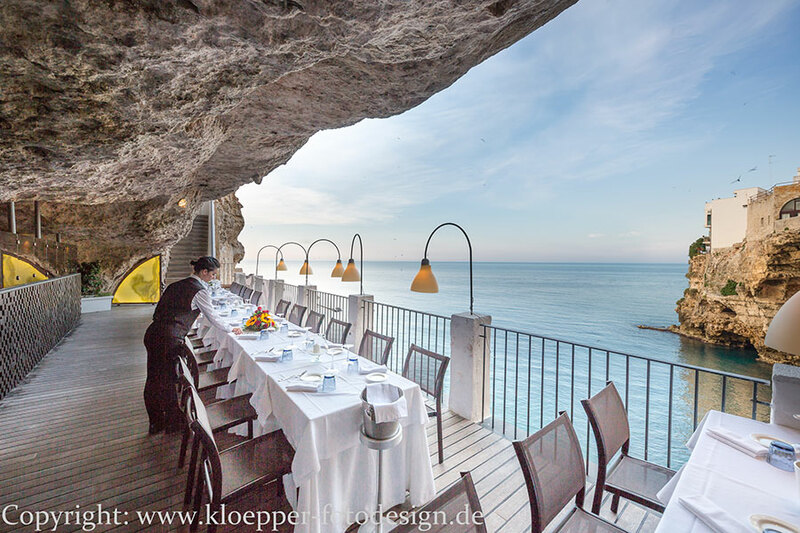 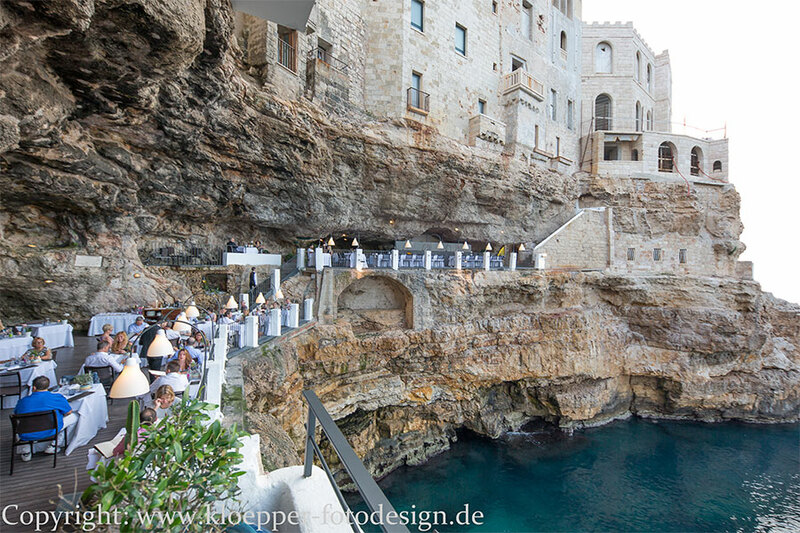 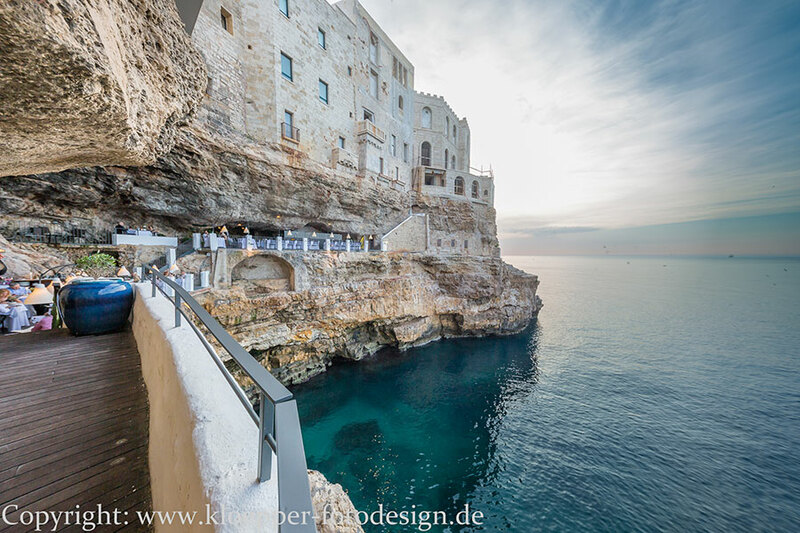 In fact, the terrace that welcomes guests has been created within a natural cave, the "Grotta Palazzese" (or "di Palazzo", as it was once called), from which it takes its name, a place known and used for parties and banquets since 1700. 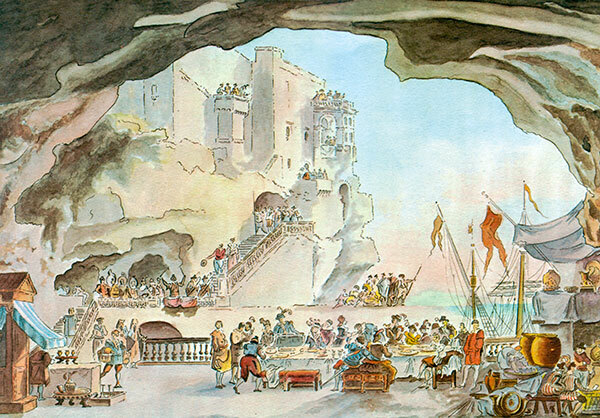 Famous, to regard, it is the watercolor of Jean Louis Desprez of 1783. 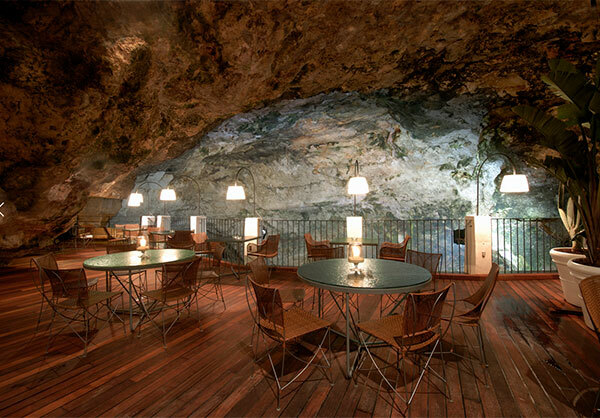 The terrace can accommodate up to 150 people, in a place that, although outdoors, is sheltered from the vault of the cave. 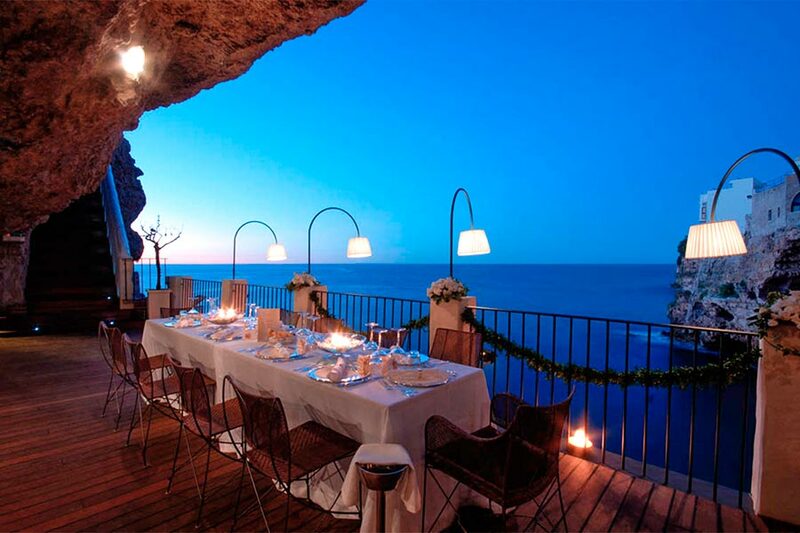 On one side it overlooks the sea, with a splendid view of the coastal landscape and the marine horizon; on the other, towards the larger cave, the cave itself being composed of two caves of different sizes. 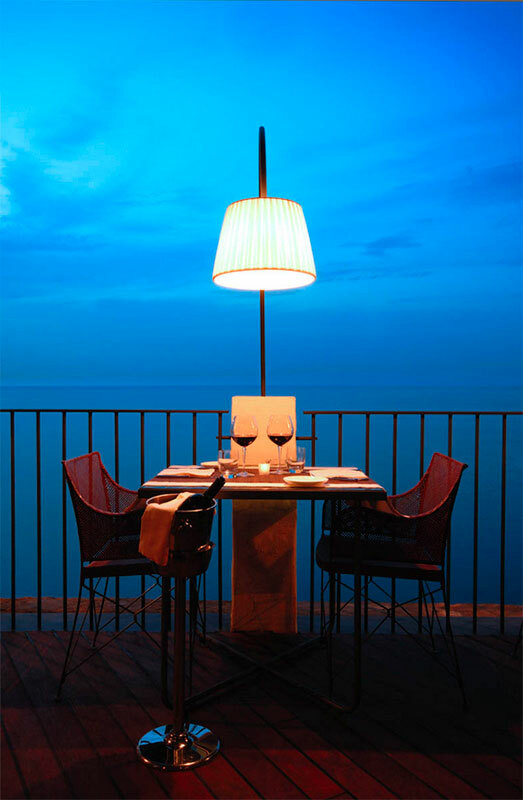 The entire terrace also includes an area with more reserved seats.